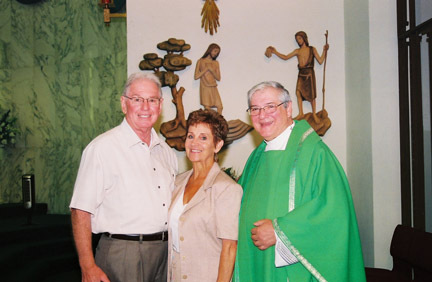 John and Carol Polaha stand with Father Patsy Amabile, former pastor of Sacred Heart Parish, Vineland, where they have been involved in pro-life and family ministry for three decades. 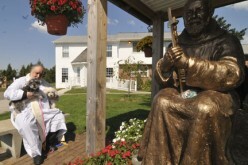 The couple feels their work will be broadened and enhanced by the merger with St. Isidore Parish. VINELAND — John and Carol Polaha of Sacred Heart Parish call the “thoughtful and dedicated” members of their Pro-Life/Family Life Ministry the reason why the committee is successful in its work and philosophy. 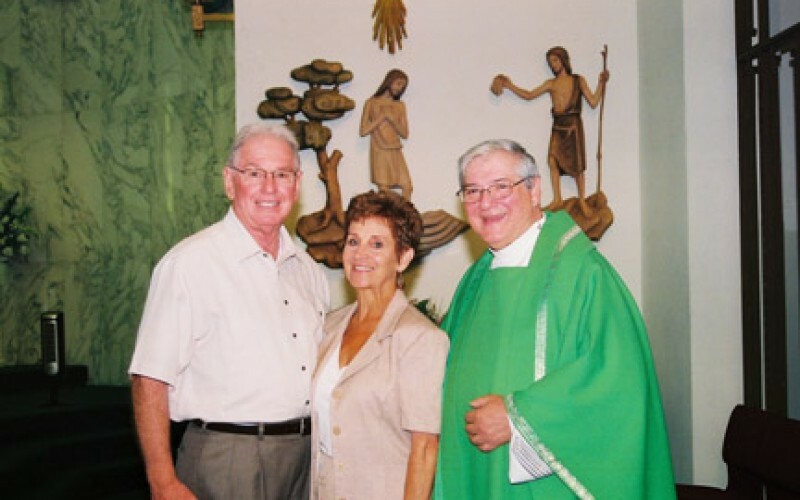 “Everybody helps in keeping stewardship active in the parish,” said Carol Polaha, who with her husband, John, have dedicated their lives to stewardship at Sacred Heart for some 30 years. Over the years they’ve helped various organizations and joined activities in the parish through Family Life. She said they held yard sales and now hold baby showers for the needy, among other activities. John and Carol pointed out various holidays and events are celebrated with an attempt by the committee to put a religious significance to each. For instance, there is a Mass at Halloween where children come dressed in costumes. Also, St. Nicholas is celebrated during a Christmas Mass, and there’s even a breakfast with the Easter Bunny. The Pro-Life group holds a coffee ministry after each Mass once a month and they work with the pastor to schedule them when stewardship can be promoted. Their four daughters and three sons (they now have 16 grandchildren) occasionally would help their parents while growing up and they benefited from the experience. Today, they said, the object is to unite kids and seniors. Besides their involvement with Family Life, John and Carol are also involved with parish life in other ways. John has been a Eucharistic Minister for nearly 20 years while Carol has been a lector for 15. She’s also been a Pre-Cana teacher for 23 years. 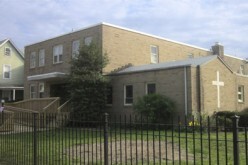 Over the years Carol was a teacher at Sacred Heart School and later at St. Francis of Assisi School. John was the superintendent of recreation for Vineland for 23 years until his retirement in 2008. 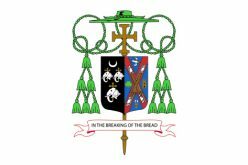 A few years ago, Carol was asked to speak at a Mass at Sacred Heart about her stewardship. 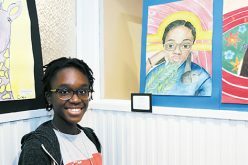 Out of the three parts — time, talent, and treasure — she spoke of time and how she and her husband devoted themselves to their mission and how the parish welcomed them. He said he is very supportive of them and their ideas “and I encourage them in all their endeavors,” Father Amabile added.